In yesterday’s program, Cathy Isom discussed some common restrictions for having a backyard flock. 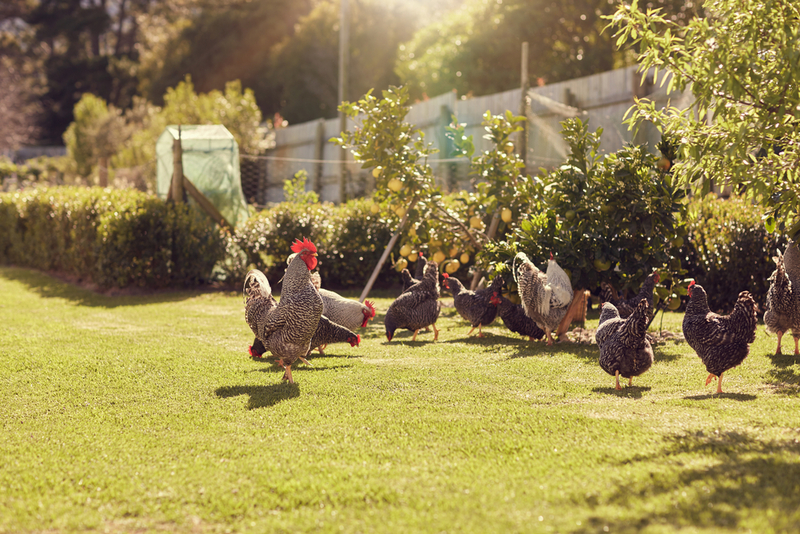 Today, she continues by letting you know how to find out if your zoned for backyard chickens. That’s coming up on This Land of Ours. You”ll need to dig a little deeper in your local zoning laws to see whether you can keep chickens at your place of residence or not. Then, you can have a look at any special regulations which can have an effect on building chicken housing. Your property will be categorized as either a business, residential, agricultural, or any other. If it’s zoned agricultural property, you can raise your chickens without encountering any trouble. Residential, or Residential/Agriculture/Other type, or if you have leased and rented your home, you’ll need to find out further what’s allowed. Landlords could also have certain requirements other than local ordinances. If you can’t figure out the zoning category of your property, go to your city or township hall and have a look at the zoning map. In some places, you can request to get a copy or you can purchase it. Just a fair warning, just because some people in your neighborhood are raising chickens, doesn’t mean you can too. Go to the right sources, acquire legal information, and then make an informative decision.